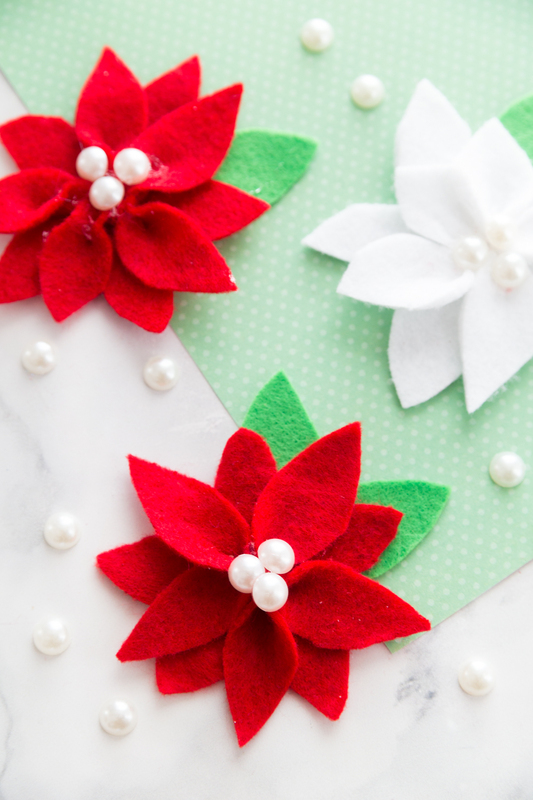 This Felt Poinsettia is such a fun holiday craft! You only need a few simple supplies. It’s perfect for ornaments, gift tags and more! 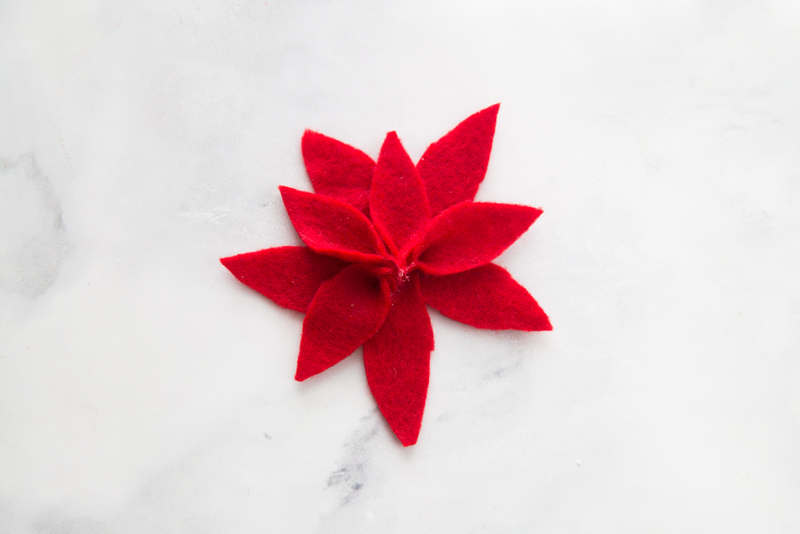 First you will want to cut out 10 petals from your red felt. I do not have a template. I just freehand cut them out. 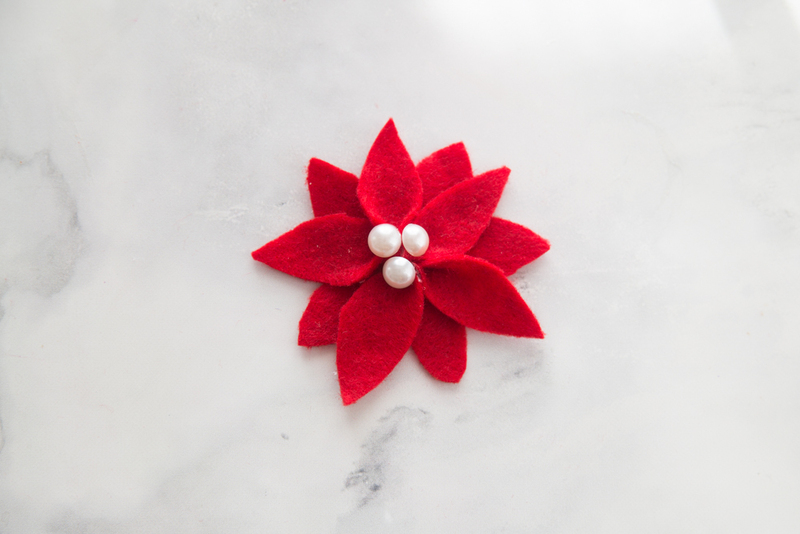 You can make them as big or as large as you want depending on what you want the finished size of your felt poinsettia to me. You will want to hot glue 5 pieces in a similar design as you see above. 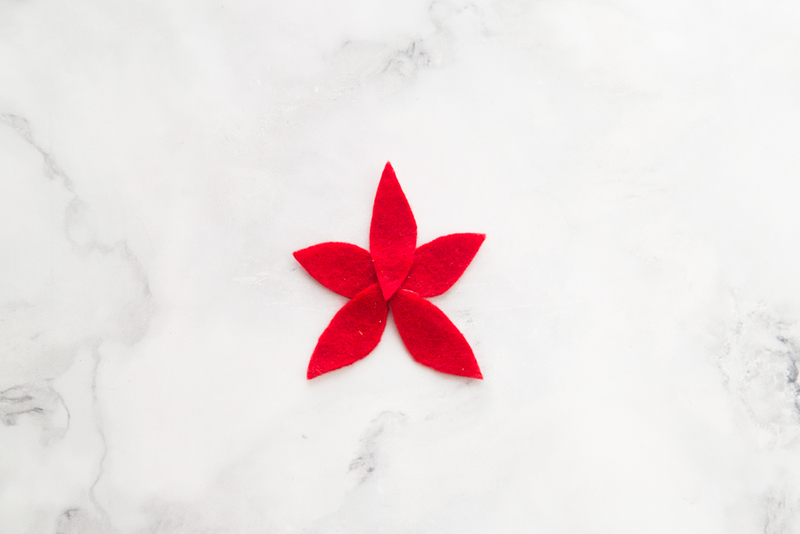 Take your next 5 petals and carefully place a small amount of hot glue in the petal and press until dry. You want it to fold a bit. Then place your petal down in between the petals that are already down. You may want to trim the tip of your petals to be more straight before glueing them down. 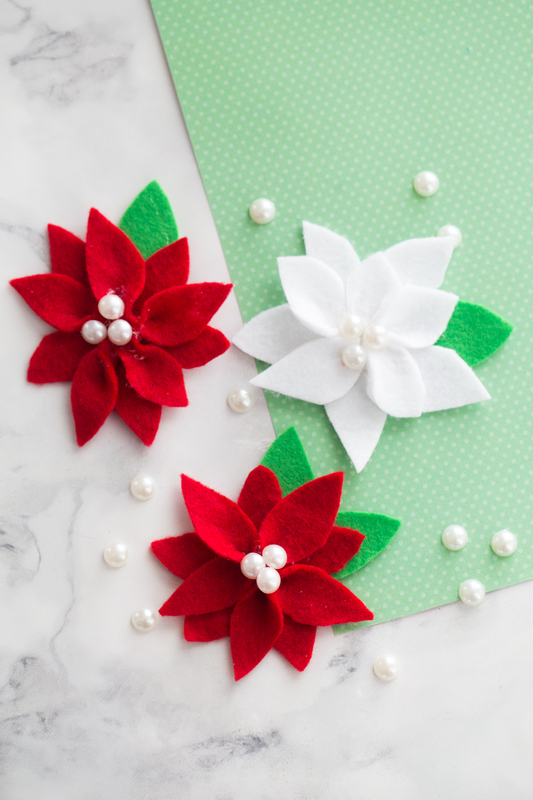 Trim any petals that seem too long and then add your pearl beads or stickers with the hot glue. You can choose to add greenery at this step if you want. 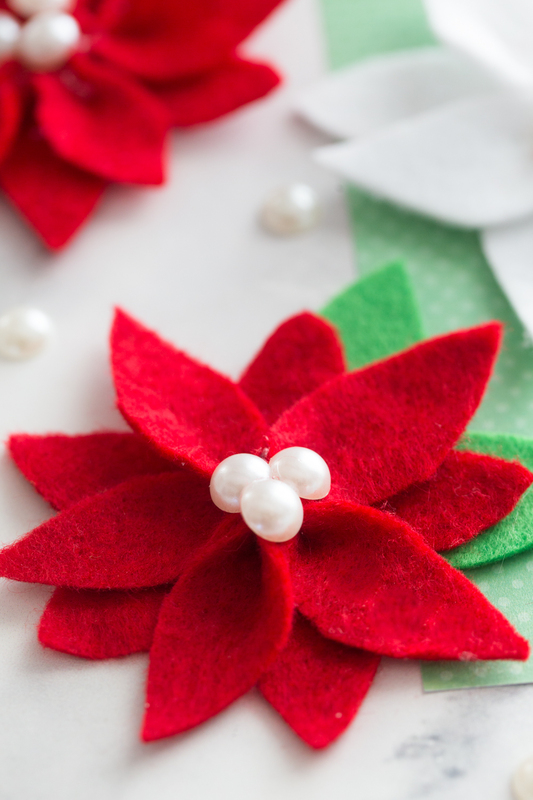 I just cut out larger petals and hot glued them to the back of the felt poinsettia. These are darling! Can you give me an approximate length/width of the petals?